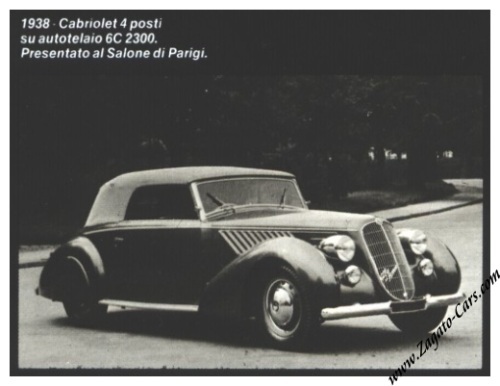 We acquired a photograph of what is believed to be a 6c 2300 with Stablimenti Farina 4-Seater Convertible body dating from 1938. We seek to identify this car. We don't know the origin of either the photo or the car. The car is pictured in the book "Le Alfa Romeo di Pininfarina" (see picture at the bottom of this page) but there are no clues towards the chassis number. 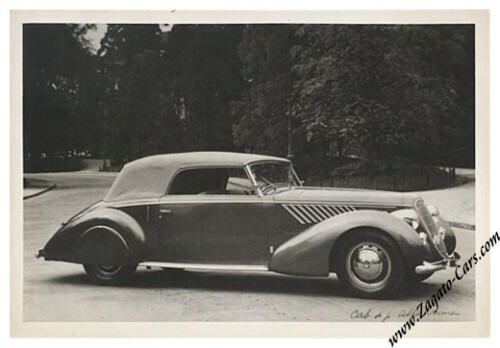 The car debuted at the Paris Motor Show (1938? ).